Caterpillar has announced that gold producers B2Gold Corp has selected the company and Cat dealer Barloworld to supply 7MW of solar power at the Otjikoto Mine in the Republic of Namibia. 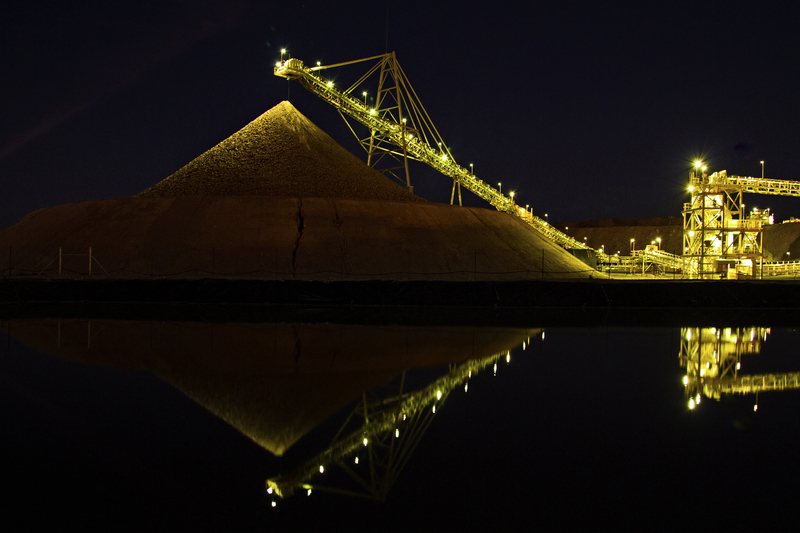 The full system, including Cat photovoltaic (PV) solar modules and the Cat microgrid master controller (MMC), will be used to reduce reliance on a heavy fuel oil (HFO) power plant currently used to power the mining facility. Barloworld is supplying engineering, procurement and construction services for the project. Installation of the system is underway, with the completion of the project expected in early 2018. Caterpillar’s solar PV system is powered by advanced thin-film solar modules that are setting the industry benchmark with improved performance over conventional silicon solar panels. Fully scalable and pre-engineered for quick and easy installation, the system offers reliable and predictable energy in all climates and applications with modules that are independently tested to pass accelerated life and stress tests beyond industry standards. Caterpillar’s solar PV offering is a key component of the Cat Microgrid technology suite, a line-up of power systems that adds environmentally friendly solar panels, energy storage, and advanced monitoring and control systems to Caterpillar’s traditional line of reliable power generation equipment, including HFO, natural gas and diesel generator sets, switchgear and automatic transfer switches. The Cat Microgrid technology suite is designed to reduce fuel expenses, lower utility bills, decrease emissions, and reduce the total cost of ownership while increasing energy efficiency in even the most challenging environments. A key differentiator in Caterpillar’s offering is the Cat MMC, which keeps loads continuously energised with high-quality power at the lowest cost. It manages the flow of power from every source in the system, including the main grid when connected. The Cat MMC determines optimum recharge times for the energy storage systems while managing power during times when solar energy is not available. The MMC also uses Cat Connect technology for real-time collection and communication of on-site performance data that can be monitored and analysed remotely. “The economic viability of remote mining operations depends on the cost-efficient generation of power,” said Tom Frake, vice president of the Global Power Solutions Division for Caterpillar. 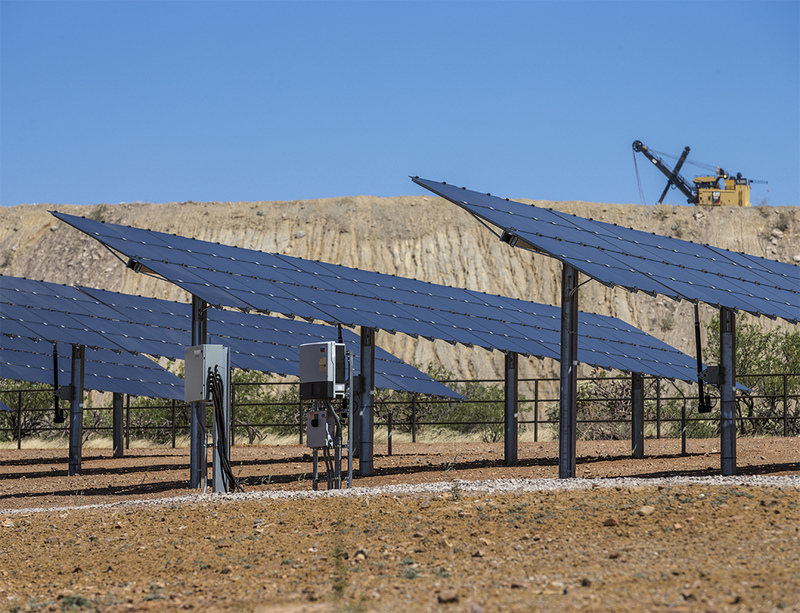 “Caterpillar’s solar technologies provide a scalable, sustainable power solution that significantly reduces fuel consumption while delivering the reliable power needed to support mining sites. B2Gold’s Otjikoto Mine is located in the region of Otjozondjupa approximately 190 miles (300km) north of the capital city of Windhoek. The mine reported a record year in 2016, producing 166,285 ounces of gold. Caterpillar supplied the original 25MW of power capacity to the Otjikoto Mine when it opened in 2014 through four Cat 12CM32 HFO medium-speed engines and three Cat 3516B high-speed generator sets.